Catching Fire, the second book in Suzanne Collins’ ‘catching‘ new series (see what I did there, huh? Huh?) starts off a bit slow. Picking up shortly after the main character, Katniss, and her friend Peeta become the first pair to ever win the deadly Hunger Games, the story begins with Katniss describing her life and the life of those close to her since then. Anxious and dreading the Victory Tour, (a tour strategically timed to keep the horror of the games fresh in the minds of the oppressed Districts, and half-heartedly cloaked as a festivity), Katniss receives an impromptu visit from the President of the Capital. It seems that Katniss and Peeta’s very public thwarting of the Game’s design, by forcing the hand of the Capital to allow both of them to live and be victors of the Games, has had the unintended effect of inciting uprising among the Districts. Suffice it to say, Katniss’ best efforts would never be good enough. President Snow already has a plan to rid himself of Katniss and eradicate the unrest she has unwittingly created by proving that no one is above the Capitol. 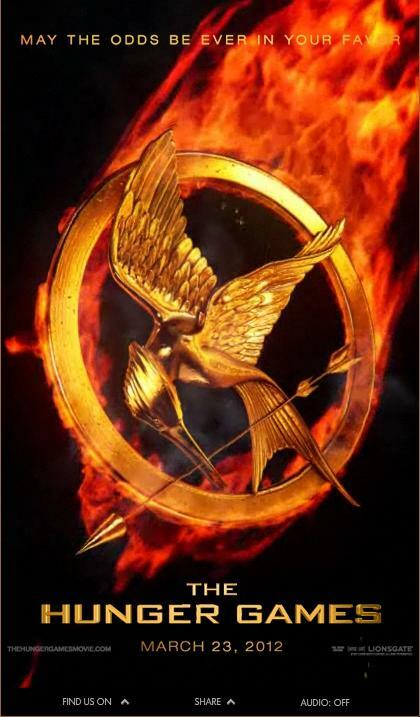 The book really picks up when the President unveils his devious plan and Katniss and Peeta find themselves in a position they never dreamed possible- headed back into the Games arena, and against former victors! This book was even better than the first. More visceral and emotionally provoking than the last book, (perhaps in part on account of the fact that we ‘know’ the characters and have presumably become at least a little attached to them), I was more and more impressed the further I read into Catching Fire. Collins artfully weaves a tale of friendship and love in with bigger concepts of oppression and humanity. The plot twists manage to be both predictable and then utterly surprising in ingenuity. I can honestly say that I can’t wait to see what the next installment brings. This entry was posted in Entertainment Corner, JustBlog Entries and tagged Catching Fire, death, dystopia, Hunger Games, Katniss, oppression, Peeta, revolution, society, Suzanne Collins, The Running Man, uprising, violence. Bookmark the permalink.